It’s no secret: I’m really enjoying my Live Coding Stream. There’s something invigorating about spending time with friends and writing code together. 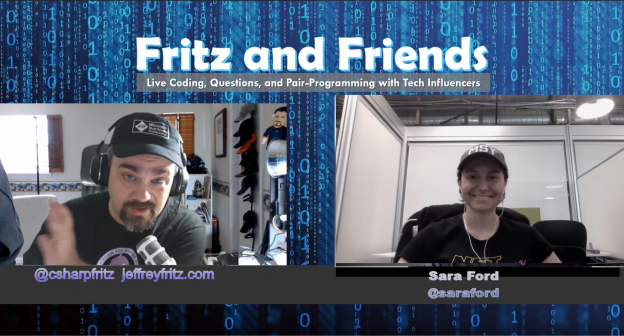 I’ve had guests on the show to teach about various topics, and show us how to improve our code. But every now and again, I get the itch to REALLY teach.. and I plan a full-day workshop. On Friday, May 18th I hosted our second workshop on the stream. This C# Workshop covered items for beginners, intermediate developers, and even an advanced topic or two. I originally planned the event for 8 hours with 8 different guest pair-programmers, but we hit a milestone of 1,000 subscribers on YouTube and I had a ninth speaker asking to join the event. How could I refuse Scott Hanselman asking to join and show how to apply your C# skills to a Raspberry Pi device? I cannot tell you how thrilled I am that we had 167 pair-programmers (or viewers you may call them) join us at once during the event. 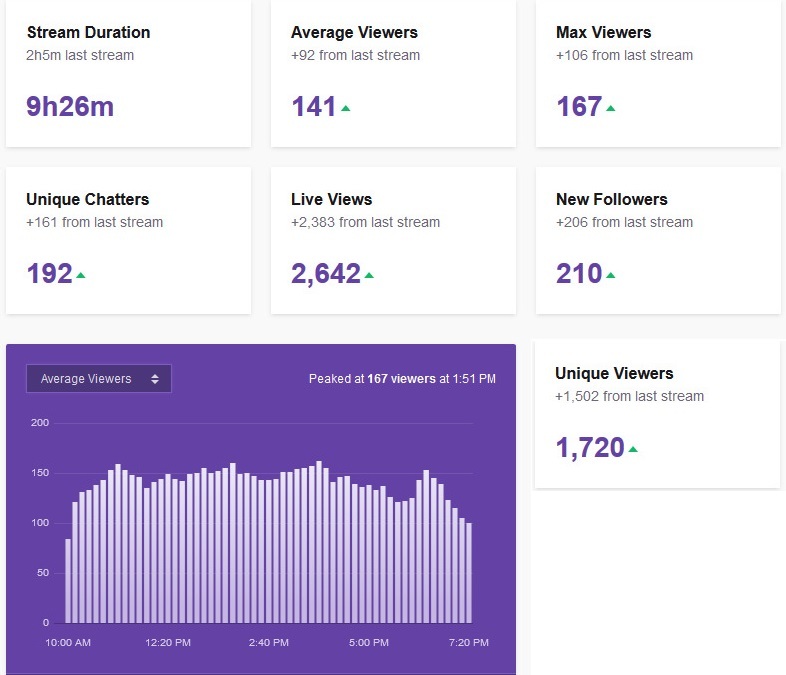 An average of 141 viewers throughout the day is pretty amazing as well, as I know it was a LONG event and it ran very late in the evening for the European time zones. 192 of you were able to ask questions of our instructors, and I’m very happy with that level of engagement. I think this workshop format is amazing, and want to continue pushing the live stream format with more of this content. I’m in planning now for an Azure Serverless workshop in June with my friends on the Microsoft CDA (Cloud Developer Advocate) team. Since we hit my goal of 2,000 followers on Twitch, I am also starting planning for an Architecture Workshop to be hosted in July. The folks at Xamarin and Xamarin University are very interested in helping with a workshop, and I will attempt to slot them for an August event. In September, we have DotNetConf and I have something SPECIAL planned to coincide with that event. I hope you enjoy this format, and tune in for the stream either live or on a replay on my YouTube channel. I’m always available there to answer your questions and write some code with you. Is there something that I could improve about the workshop or live stream? Let me know in the comments below. This entry was posted in Fritz and Friends, Uncategorized on May 23, 2018 by Jeff.